NEW Hallmark 2011 A SWEET TREAT Gingerbread Christmas Ornament. Hang by its green ribbon. He holds a red & white lollypop. 2 1/4" high. 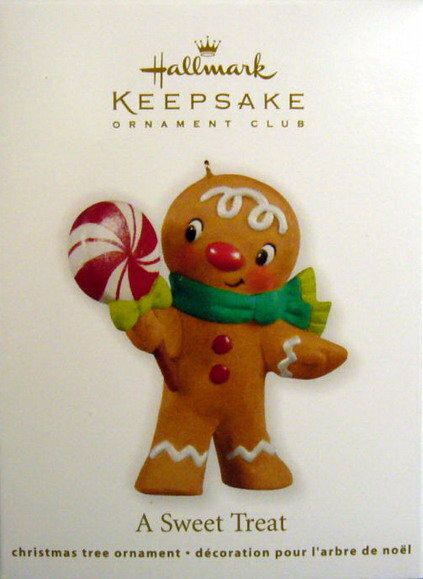 Items Similar To "Hallmark 2011 A SWEET TREAT Gingerbread Man Christmas Ornament"